Pakistan vs New Zealand 3rd Test Live Streaming: Pakistan will be hoping to carry the momentum from the second Test in the third and win the series against New Zealand. The series is currently locked at 1-1. 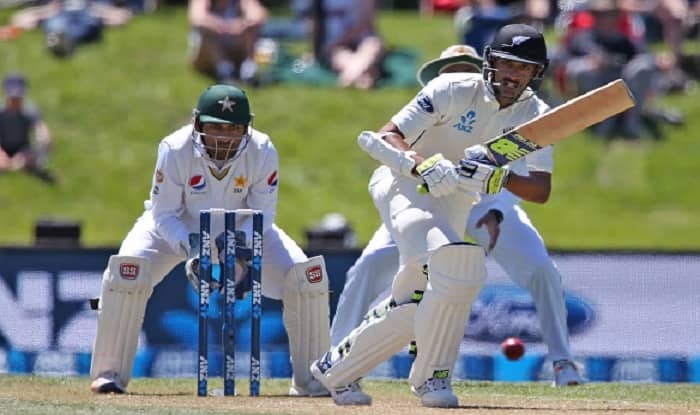 Pakistan vs New Zealand 3rd Test Live Streaming: Pakistan will be hoping to carry the momentum from the second Test in the third and win the series against New Zealand. The series is currently locked at 1-1. Pakistan lost by four runs in the first Test but came back strong in the second to win by an innings and 16 runs. Yasir Shah has been in top-notch form as the visitors failed to pick him, he scalped 14 wickets in the match to decimate the visitors. Pakistan will be strengthened in the pace unit as Shaheen Shah Afridi is set to make his Test debut. It would be interesting to see how the Blackcaps play spin or will they come up with a strategy to counter it. Yasir Shah will sure hold the key for the hosts. There could be a toss-up between Trent Boult and Tim Southee for a spot. The hosts will miss out on the services of Mohammad Abbas, who is nursing a shoulder injury. What time will the 3rd Test between Pakistan and New Zealand? The 3rd Test between Pakistan and New Zealand will start at 11:30 AM IST. The toss will place at 11:00 AM. Where will the 3rd Test between Pakistan and New Zealand take place? The 3rd Test between Pakistan and New Zealand will take place at Sheikh Zayed Stadium in Abu Dhabi. Which channel will telecast the 3rd Test between Pakistan and New Zealand? The 3rd Test between Pakistan and New Zealand will have a live telecast on Sony Six/HD. How to watch the live streaming of the 3rd Test between Pakistan and New Zealand? The live streaming of 3rd Test between Pakistan and New Zealand will be available on SonyLiv. What are the squads for the 3rd Test between Pakistan and New Zealand? Pakistan: Mohammad Hafeez, Imam-ul-Haq, Azhar Ali, Asad Shafiq, Haris Sohail, Babar Azam, Saad Ali, Sarfraz Ahmed(c), Yasir Shah, Bilal Asif, Mohammad Abbas , Hasan Ali, Faheem Ashraf, Shaheen Afridi, Mir Hamza. New Zealand: Kane Williamson(c), Tom Blundell, Trent Boult, Colin de Grandhomme, Matt Henry, Tom Latham, Henry Nicholls, Ajaz Patel, Jeet Raval, Ish Sodhi, Tim Southee, Ross Taylor, Neil Wagner, BJ Watling, William Somerville.